Hey, kids wanna sign up for a course that’ll teach you to be a music mogul? Well, you’re in luck if you attend a public high school down South. Not content with making an over night superstar, Usher’s tryna mold the next Russell Simmons’ through his New Look Foundation. The non-profit developed a high school class, Music Industry Leadership 101 to expose kids to over 30 careers within the music industry. The course will teach marketing, creating a brand, teamwork and guidance from industry executives. So, kids in the Gwinnett County Public Schools as well as Henry County Public Schools in Georgia; Wake County Public Schools in North Carolina and Polk County Public Schools in Florida will see MIL 101 alongside math and science courses in the Fall term. The full credit course is expected to serve over 2,000 schoolkids. The course is in conjuction with Usher’s Foundation that teaches youth empowerment through education, talent, career and service. 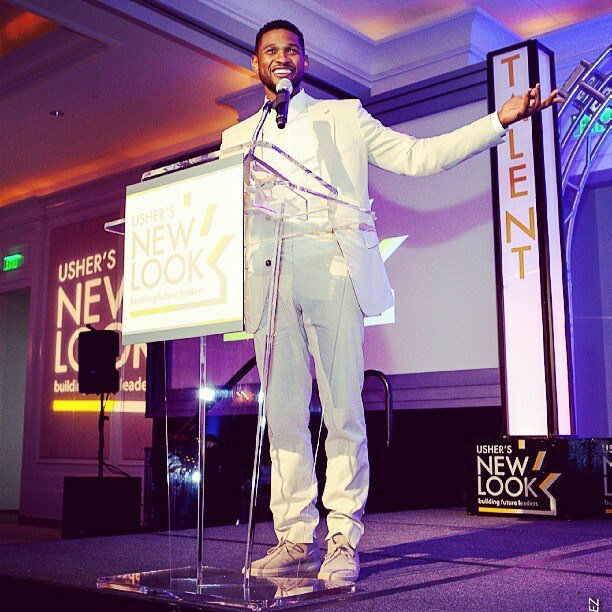 For more info on the course and Usher’s org click here. This is one reason to be excited to go back to school, right?…Okay, maybe when August rolls around. Here’s something to whet the appetite until then.